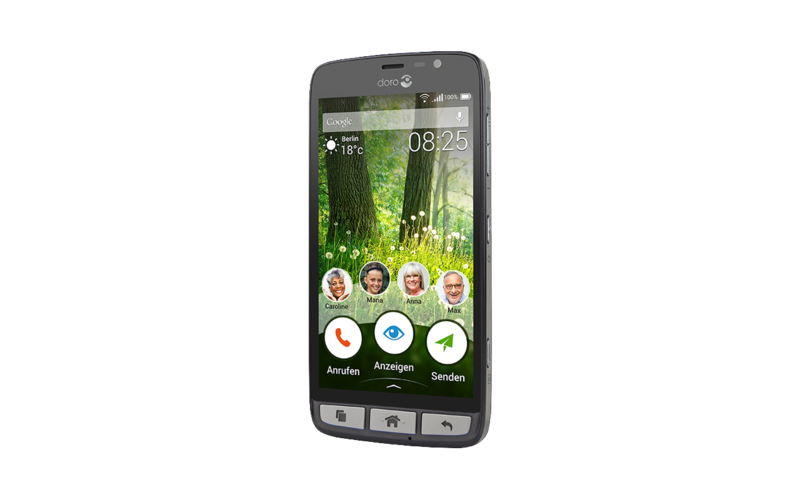 The leading manufacture of mobile phones and smart phones for senior citizens has developed the new Doro Liberto 825, which makes handling a smart phone much easier thanks new operating structures. This starts with the installation, which guides unexperienced users by a question-and-answers system. The operation concept is based on what the user intends to do. In addition, the Liberto 825 can be configured via remote maintenance through the internet. Loudspeakers with high volume, large, physical buttons and an emergency button fulfill the requirements of elderly or handicapped people. All this is packed into a high-quality 5-inch smart phone, which is also able to handle LTE. It is compatible with hearing aids and offers a charging tray, which offers additional functionality as alarm clock, digital picture frame or media player.